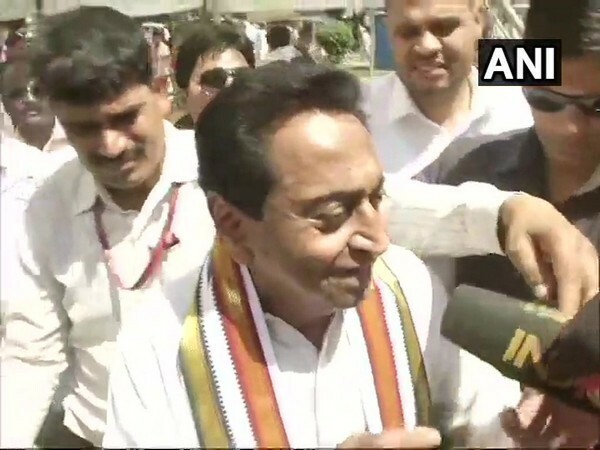 Kamal Nath speaking to the media in Chhindwara on Tuesday. “They are doing this as they know they are going to lose elections and these are the only tactics left. I am not worried, nobody can suppress me,” Nath told the media. Meanwhile, Income Tax raids were over. The raids at the premises of Ashwin Sharma, an associate of Madhya Pradesh Chief Minister Kamal Nath's OSD Praveen Kakkar are over, informed CRPF Commandant MS Verma on Tuesday, adding that a SHO and DSP of the state police misbehaved with the paramilitary force.